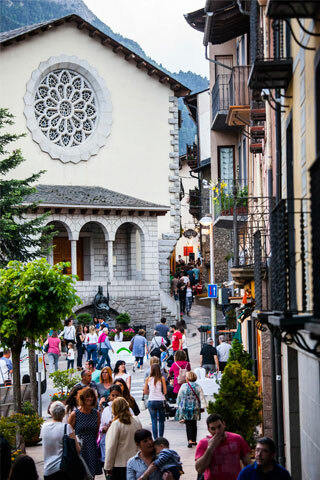 Andorra la Vella remains an unmissable destination for shopaholics. 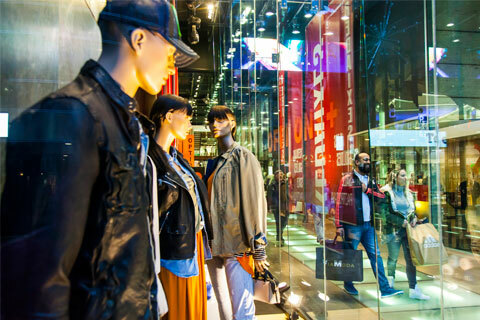 Its avenues and streets are home to department stores and boutiques specialising in fashion, watches and jewellery, sports, perfumes and cosmetics. 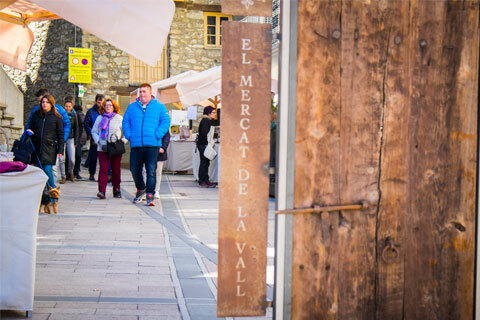 Avinguda Meritxell is the longest shopping avenue in the Pyrenees, and is the backbone of the city. 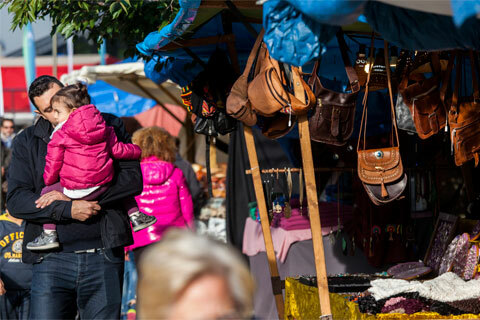 For many years Avinguda Meritxell has attracted a large number of tourists, due to its great variety of fashion articles, jewellery, perfumery and electronic goods of the most exclusive brands. 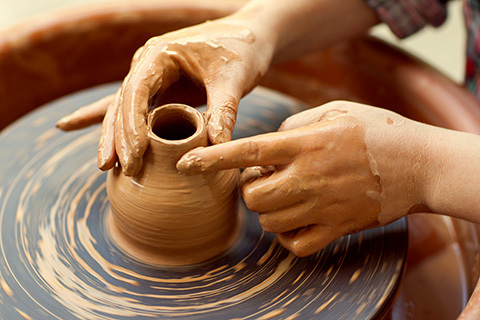 Here also, you can find large shopping malls offering a great diversity of products, as well as hotels and restaurants. 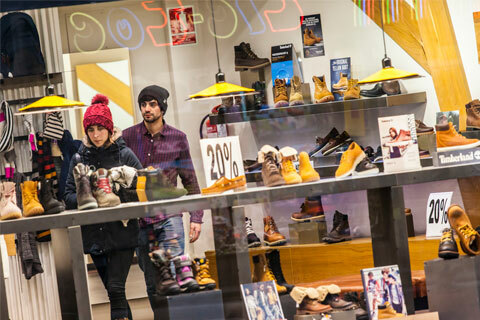 Right next to Avinguda Meritxell, Fener Boulevard is home to some of the most exclusive footwear, fashion, accessory, sport and homeware brands around. 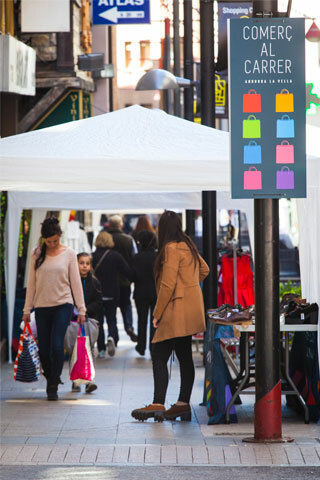 Its adjacent parking, restaurants and wide pavements make for a unique shopping experience. The historic centre is a must-see. Its narrow streets and characterful shops will be a wonderful surprise. 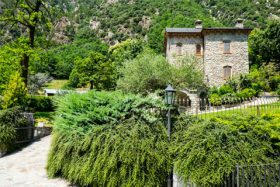 With more than 50 years of commercial tradition, it offers visitors a more specialised, personalised service, at the most traditional establishments. 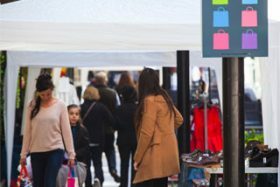 This area was the heart of the city in the first half of the last century and is still home to small, specialised family businesses where the service will make you feel right at home. A little village in the big city. And don’t miss all the food and drink it has to offer! Near the Meritxell avenue, Riberaygua i Travesseres, offers unique shopswhere you can find clothing and accessories, perfumes, home items, as well as many cafés and restaurants to get strength back during your shopping time. 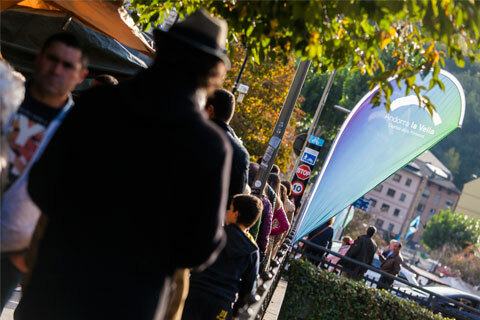 Santa Coloma Avenue is the area specialized in articles related to cars and motorbikes. 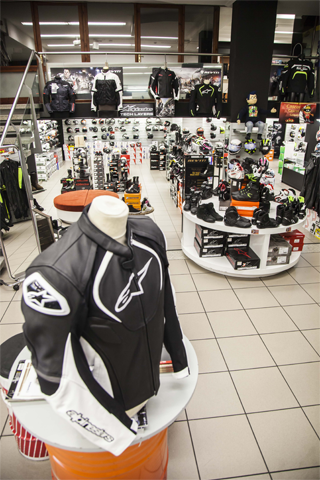 You will find many stores dedicated exclusively to equipment and accessories for cars and motorbikes. 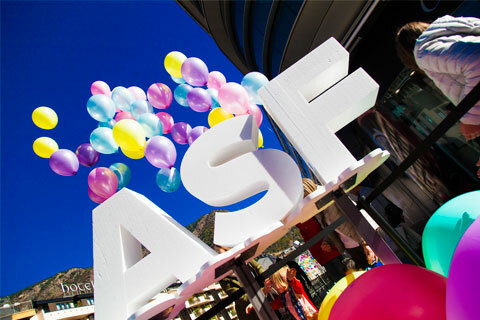 You will also find all the special clothing including the latest trends. Lovers of the engine world, don’t think twice. 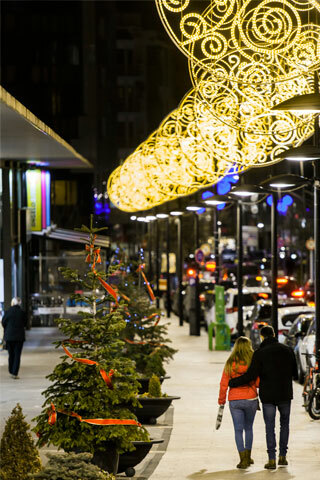 Santa Coloma avenue is waiting for you. 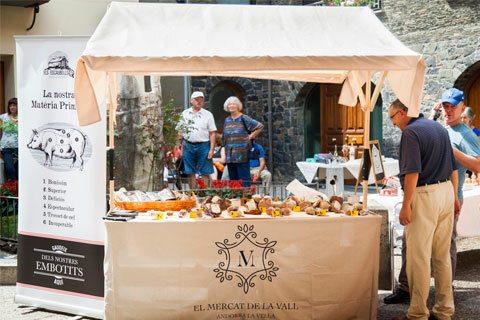 Andorra la Vella holds a number of fairs and markets, enjoyed by many locals. 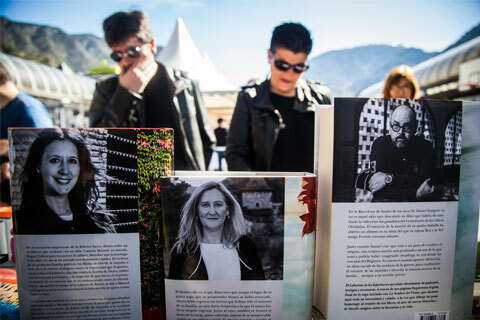 Fair dedicated exclusively to the sale of books, roses and related items (bookmarks, old books, paper and cloth flowers). 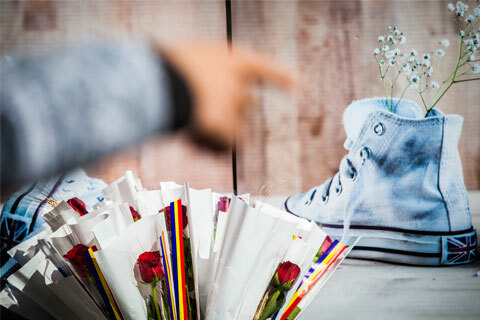 Normally, the country’s bookshops and florists take part (no distinction is made between parishes) as well as organizations and schools, who are the only groups allowed to sell items on the street that day. 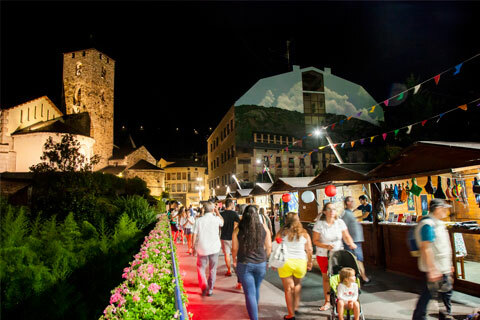 During the days of Andorra la Vella’s Festa Major (Town Festival) – 1st Saturday in August. 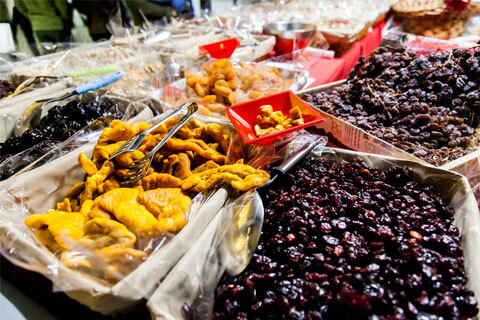 A market where one can find items of costume jewelry, textile products, food and handmade products, etc. 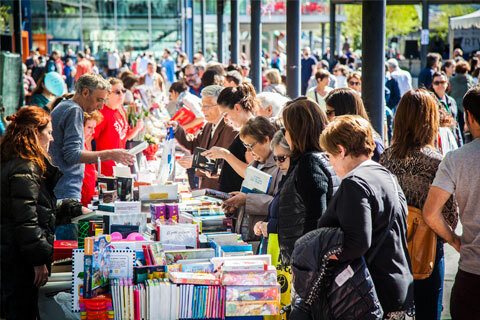 Stallholders are usually local, although participation by exhibitors from other regions is possible. 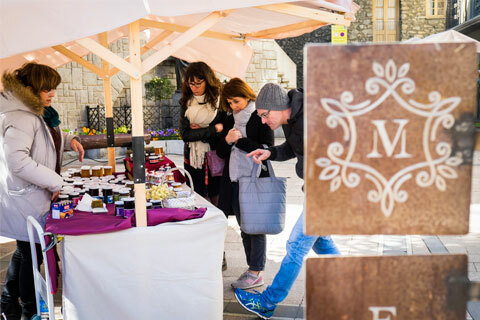 The artisan market is one of the areas of the Fira d’Andorra la Vella fair and aims to spread the word about and sell all kinds of local products and artisanally made food, alongside crepe, churro and sweet stalls. 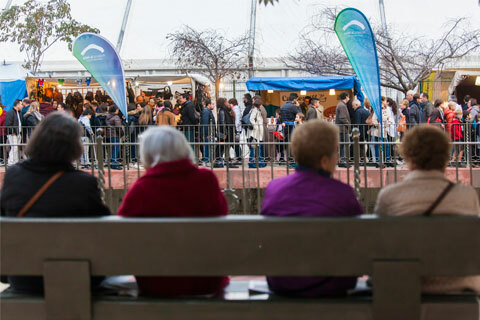 It is located on the promenade along the river and connects the Fira with the commercial area of Avinguda Meritxell, on Plaça de la Rotonda. 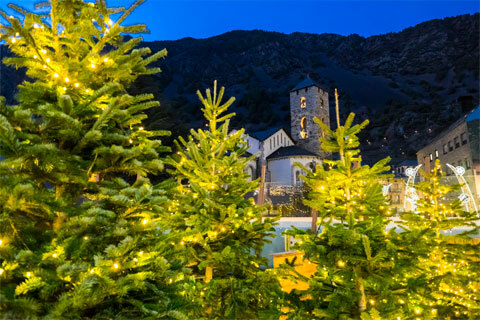 As the year nears its end, the Poblet de Nadal (Christmas village) fills the streets of Andorra la Vella with magic for visitors of all ages. 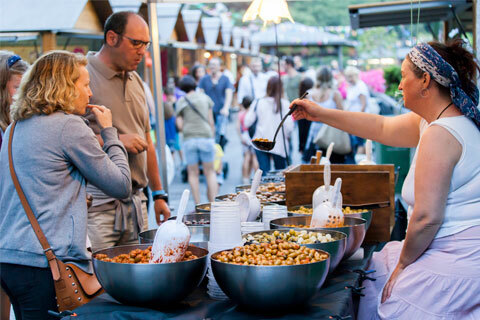 The Christmas market on the Plaça del Poble is a must-visit, where you can find artisanal products, food, art, children’s workshops and live music. 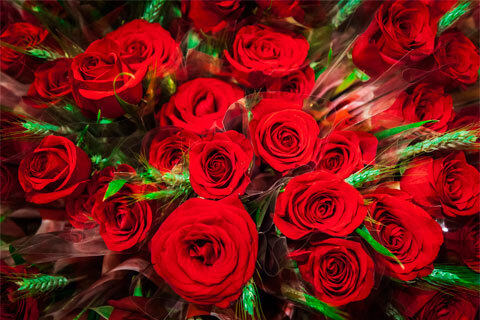 First Saturday of every month from spring to early autumn. 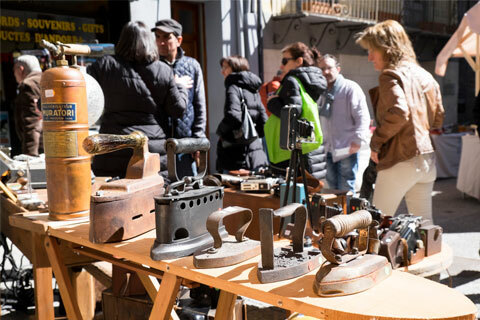 Located in the old neighborhood of Andorra la Vella, the protagonists in this market are the products of the land, but you will also find antique dealers and manual works among others. Find all the information you need to make the most of your shopping experience. 1,5 l de liquors over 22 degrees or 3 l de liquors or aperitifs under 22 degrees or bubbly wine. 5 l of table wine. 1000 g of coffee or 400 g of extracts. 200 g of tea or 80 g of extract. Up to a value of 300,00€. Not in excess of : 2,5 kg of powdered milk, 3 kg of condensed milk, 6 kg of fresh milk, 1 kg of butter, 4 kg of cheese, 5 kg of sugar and sweets, 5 kg of meat. 75 g of perfumes + 375 ml of eau de cologne. For people younger than age 15 member states of the CE can reduce the exemption to half of the amounts specified. 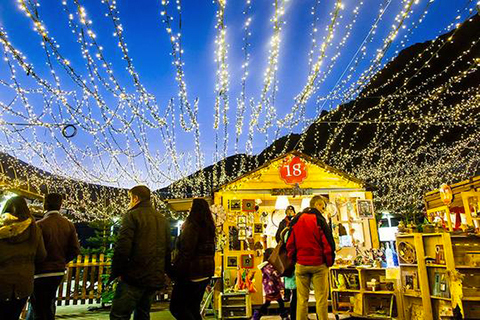 All the shops in Andorra enjoy very flexible opening hours. 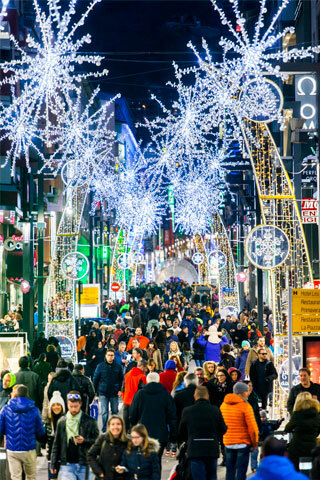 Some shops open until 9 or 10 pm during peak times such as the All Saints’ Day holiday, Festival of La Puríssima, Christmas, Epiphany, Easter Week, amongst others. 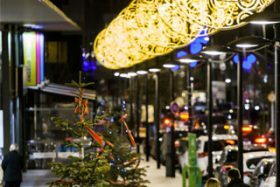 Most shops open from 9 am to 8 pm, Monday to Thursday; from 9 am to 9 pm on Fridays and Saturdays, and from 9 am to 8 pm on Sundays, 361 days a year. 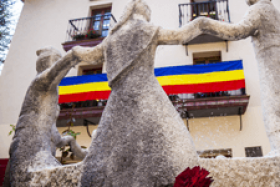 They only close 4 days a year: 1st January, 14th March (Constitution Day), 8th September (National Day – Our Lady of Meritxell) and 25th December. 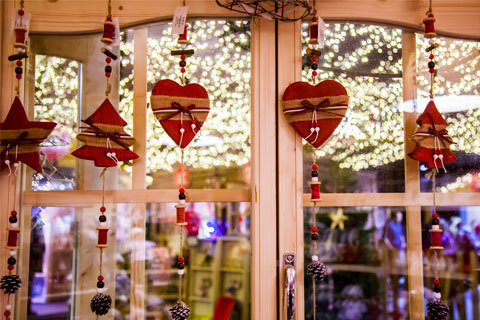 Each shop displays its opening hours clearly and visibly so visitors can make the most of their shopping time. 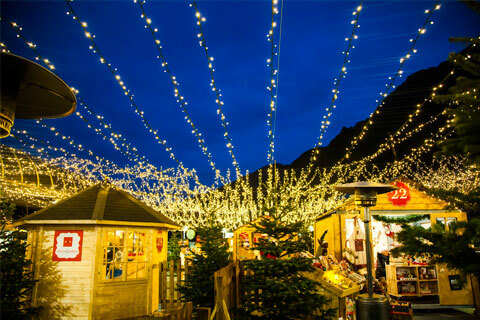 There are two periods of sales: in the winter from the end of December until the end of February, and in the summer, from the end of June to the end of August. They usually start a few days before the neighbouring countries: Spain and France. 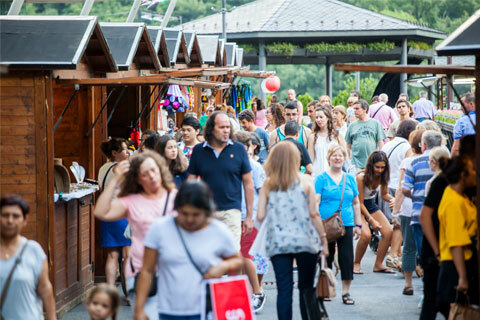 The Andorran traders’ professionalism and honesty is a guarantee of secure shopping in the Principality, but there can always be conflicts arising from misunderstandings. 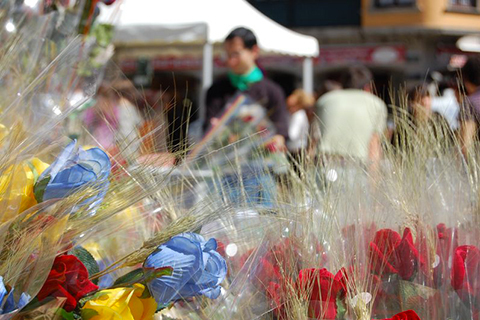 The ACU (Andorra Association of Consumers and Users) and the Government of Andorra, have therefore developed the Arbitral consumption system, an effective formula for out-of-court conciliation which rapidly and simply regulates interaction between the establishments and the consumers in the Principality of Andorra. It identifies the trustworthy establishments. It finds a reply to consumer demands. In the event of complaint, it deals with the situation. It speeds up conflict resolution, while avoiding confrontation. It proposes valid, cheap solutions. The country’s geographical location, the access limited to two borders and the proven efficiency of the police and customs services have for decades guaranteed citizens great security, and the statistics show an almost non-existent number of incidents and crimes. The reality and the perception that will accompany you will allow you complete tranquillity during your stay.